Profile: University of Patras was founded in the city of Patras, Greece, in 1964 and it began functioning in the academic year 1966-67. The Department of Electrical & Computer Engineering was the first department of the School of Engineering founded at the same year and now is comprised of three divisions. The VLSI design Laboratory which is going to carry out the work in this project, belongs to the Division of Computer & Electronics and currently employs more than 30 individuals in teaching, research positions and as support staff, mostly with funding from research projects. The VLSI design Laboratory has extensive experience in the research fields of integrated circuits and systems, digital signal and image processing systems as well as embedded systems and cryptographic hardware design. The Hardware security group of the VLSI design lab has a well-established track record of achievements in security, trust, hardware design and networks that are mirrored in the group’s participation in both national and international research and development projects, an extensive number of research papers, technical reports, books and service in special sessions and technical committees of international security and circuit & system related conferences – journals. Apart from the postgraduate, educational, and research activities, the scientists and engineers of the Laboratory also aim to facilitate the proliferation of the use of innovative hardware solutions, like Application-Specific Integrated Circuits (ASICs) in Greek industry. Beyond these areas the VLSI Lab in cooperation with the Network and Management Architecture Group of the Wired communications Laboratory developed an expertise in network management, in particular monitoring, P2P systems, programmable and active networks and autonomic networking. 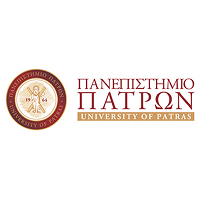 The University of Patras has significant experience in the design and implementation in various network security topics which among others involve, identity and privacy management solutions, identity discovery solutions in blockchain technologies, Real World Cryptography implementations in hardware and software for security solutions and cryptographic engineering especially for cyber physical systems. The expertise is extended to the design and implementation of trusted hardware modules.